This book has been highly recommended to me by several people. There are a handful of interesting, novel ideas that are valuable here. But I didn’t find the writing terribly compelling, and it didn’t feel terribly cohesive. Maybe that’s just the nature of the subject, originality isn’t monolithic. But it did make it hard to integrate all of the ideas. 12 years on, this book needs a follow up. This book is great, but a lot of the concepts are much more understood today than they were 12 years ago. 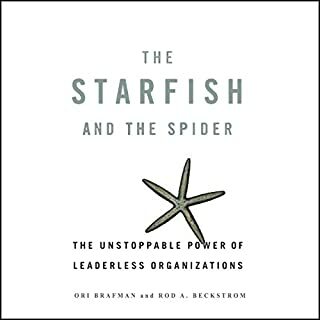 Also, one of the core concepts is the idea that decentralized organization’s can’t manage scarce resources. You can’t really make money from a purely decentralized organization. Well, that may no longer be true with the advent of cryptocurrency. 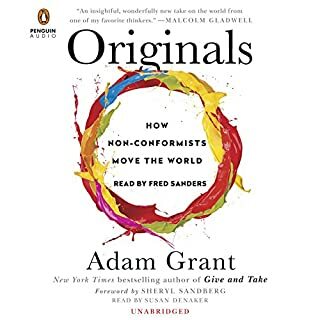 I would love to hear what the authors have to say about Bitcoin, Ethereum, and their are many descendants..
I’ve listened to this twice, and intend to start now to apply the principles. 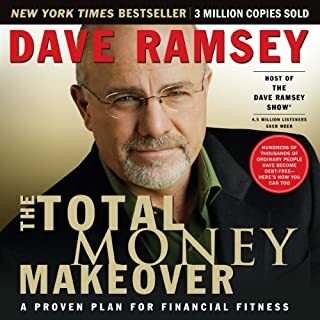 It’s not complicated, but Dave does a great job illustrating with clarity how important applying these things are. Good ideas. Still a little frustrating. I get it. "Follow your passion" is bad advice. Pick a track early, and practice. Wish I was hearing this at 18 rather than 35. 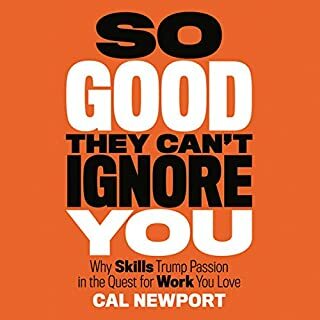 So good for you, Cal Newport, Derek Sivers, and everybody else mentioned herein, with your Midas touch and autonomy and success and fulfillment. GOOD FOR YOU. Any ideas for somebody who is ten years into their career? I'll be sure to pick a career when I'm 15 years old in the next life. Thanks. Insightful. Also pompous, convenient, and dismissive. 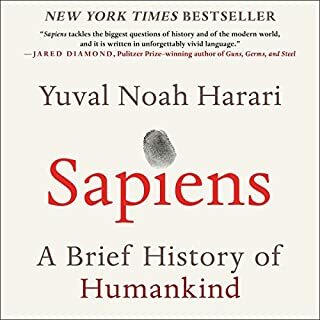 There is clearly a lot of education behind Sapiens. And there are plenty of ideas that made me think and consider my understanding of the world. But I often felt like I was in a University lecture with a professor who presumed to have all the answers, and wasn’t interested in dialogue. There were areas when he said “we simply don’t know the answers to this question”, when there are some pretty clear, but inconvenient answers. There were sections where he said “the answer is obvious”, and totally neglected the more nuanced part of the subject. There were areas where he contradicted himself. Worth reading. I’m not sure I can fully recommend it though. And with that... I’m on to his next book. Why do I do this to myself? 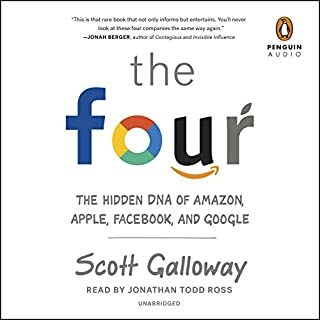 If you’ve watched Scott Galloway’s YouTube channel, you know exactly what to expect. This is a further exploration of the same issues and subjects. I've been a fan of Holidays other books, and this is arguably is best. I feel like I need to read it again on paper, with a highlighter. It's dense with insight and motivation. Something I'll keep on my nightstand to read often in the future. Forget everything you've learned about creating new businesses. Forget market research. Forget customer interviews. Forget everything business schools teach. Forget about "finding pains in the market", or gaining user empathy, or validating hypotheses. This is short, but packed with clear, actionable insight. 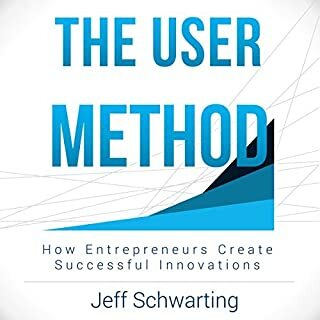 In a class with The Lean Startup, Start With Why, and Zero to One. 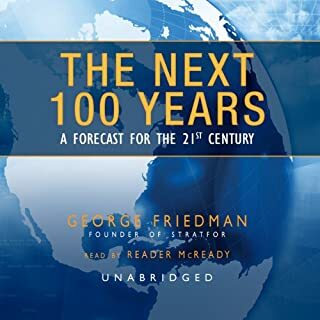 In The Next 100 Years, Friedman turns his eye on the future. 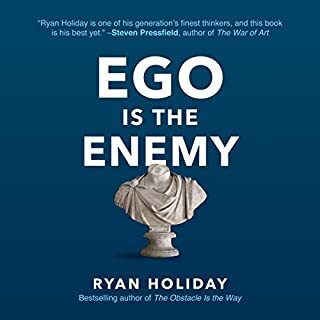 Drawing on a profound understanding of history and geopolitical patterns dating back to the Roman Empire, he shows that we are now, for the first time in half a millennium, experiencing the dawn of a new historical cycle. An elaborate game of RISK that the author plays with himself. Friedman plays a sprawling, intricate game of RISK with himself. If that sounds interesting to you, then be my guest, but mostly he got eye rolls from me. The level of hubris necessary for any individual to believe they can for see the next hundred years with any appreciable degree of accuracy is impressive. Friedman fails to appreciate butterfly effects. Nothing could have stopped the Mongol hordes from sweeping across all of Europe, except for Kubla Khan drinking himself to death. Could anybody have predicted the particular rise of Hitler before he was born? Suppose a terrorist detonates a nuclear bomb in our lifetime? And contrary to Friedman's assumptions, nations don't always play by some predetermined playbook. He makes no attempt to account for the technological singularity. He presumes to know what technology will look like in practice in 80 years. And he admits that he never addresses global climate issues. Mostly this book was a display of academic arrogance. 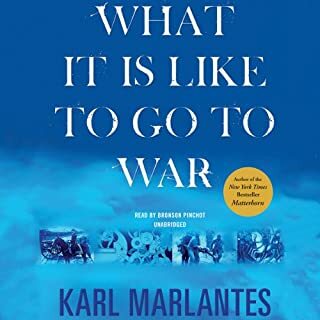 In 1969, at the age of twenty-three, Karl Marlantes was dropped into the highland jungle of Vietnam, an inexperienced lieutenant in command of a platoon of forty marines who would live or die by his decisions. Marlantes survived, but like many of his brothers in arms, he has spent the last forty years dealing with his war experience. Karl Marlantes illustrates a picture that is neither idealized nor simplified. He talks about the personal shockwaves of warfare in ways we know but don't often speak, and ways we may never have consciously understood. Every prospective soldier, current soldier, and veteran, every family member of a soldier, and every legislator who turns the gears of war in to action will gain much from Marlantes' perspective. Bronson Pinchot did the job perfect justice. The book is written from a first person perspective, and Pinchot tells the tale convincingly, as though he had gone to war himself. I'll be getting this book for my army veteran father for Christmas.